Participants must be enrolled in high school at the time of the event. You must a valid school ID from your high school and/or photo ID (i.e. driver's license or a passport) to be permitted access to the event. The organizers or event staff may ask to check any bags or items that you bring into the building. Outside food and drink is prohibited for safety reasons. While there is no limit to the number of people on a team, we recommend teams of up to 5 people. If your team wins, we will only be able to award up to five prizes per team regardless of your actual team size. To qualify for judging or awards, all hacks must be submitted onto our Devpost by 8:00 AM on Sunday, November 19, 2017. If a hack is not submitted into Devpost by the deadline, that hack will not qualify for judging and will not be able to demo, effectively disqualifying the hack for an award. Hacks may only be worked on during the event runtime. Any hacks discovered to have been created prior to the event, or before hacking time had started will be disqualified at the discretion of the organizers. Submission requirements can be found on our Devpost homepage. Hacks will be demoed to the judges during the expo session. Judging will be based on creativity, usefulness, polish, and technical difficulty/level. Additional prizes are to be awarded for categories outside of the top three winning hacks. See the prizes list for details. Hackers may only hack in permitted areas as directed by the organizers. Any hacker that leaves the building will not be permitted re-entry. Hackers may not access any unauthorized or restricted areas of the building. If a hack requires access to a well-ventilated area (i.e. if using a soldering iron), please contact an event organizer; there is a designated area for this. All participants, speakers, sponsors/vendors, and volunteers are required to follow and respect the event Code of Conduct and the Major League Hacking (MLH) Code of Conduct. 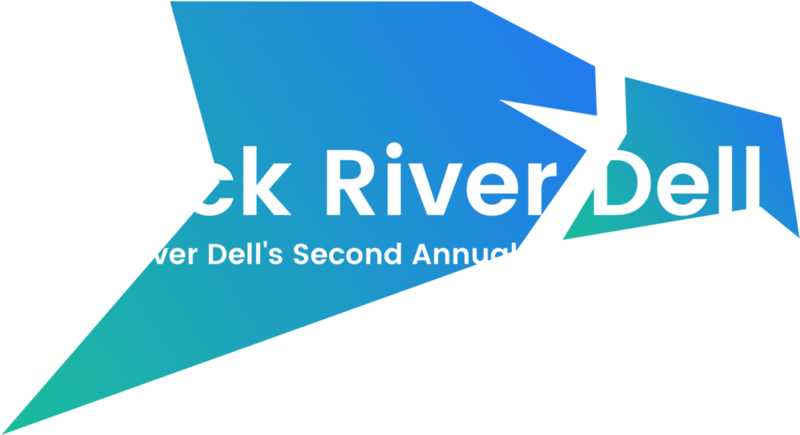 The purpose of Hack River Dell is to provide a safe, harassment-free environment for high school students to create an awesome hack. Harassment includes offensive verbal comments related to gender, sexual orientation, disability, physical appearance, body size, race, religion, sexual images in public spaces, deliberate intimidation, stalking, following, harassing photography or recording, sustained disruption of talks or other events, inappropriate physical contact, and unwelcome sexual attention. Engaging in sexual language or activities, including distributing or displaying sexual imagery, is inappropriate for any hackathon venue, including talks, demos, workshops, parties, social media platforms, or other online media. We will not tolerate any harassment of hackathon participants and attendees under any circumstance, or in any form, and expect all participants, staff, sponsors/vendors, speakers/guests to comply. Sponsors and vendors may not use sexualized imagery, activities, or other materials. Booth staff, including volunteers, should not use sexualized clothing, costumes, or uniforms, and should not create a sexualized environment. If a participant engages in harassing behavior, Hack River Dell organizers may take any action they deem appropriate. This includes a verbal warning or ejection from the event, and barring re-entry with no exceptions. If you are being harassed, witness someone else being harassed, or have any concerns, please contact Hack River Dell staff immediately. All staff will be wearing special Hack River Dell t-shirts with the word "STAFF' printed on the back. You can also e-mail us at contact@hackriverdell.com. Hack River Dell staff will be more than happy to provide participants the help they need, including contacting security, local law enforcement, providing escorts, or otherwise assist those experiencing harassment to feel safe for the duration of the event. We value your attendance, safety, and well-being. Please also review the Major League Hacking Code of Conduct as well. Participants are also required to comply with it as well.